The Bartlett School of Architecture at UCL has announced that from September 2017 it will offer three new postgraduate programmes and one new undergraduate programme. Following on from UCL’s 175th anniversary year, The Bartlett School of Architecture at UCL has announced that from September 2017 it will be offering three new postgraduate programmes and one new undergraduate programme, consolidating its reputation as one of the best providers of international architectural education. 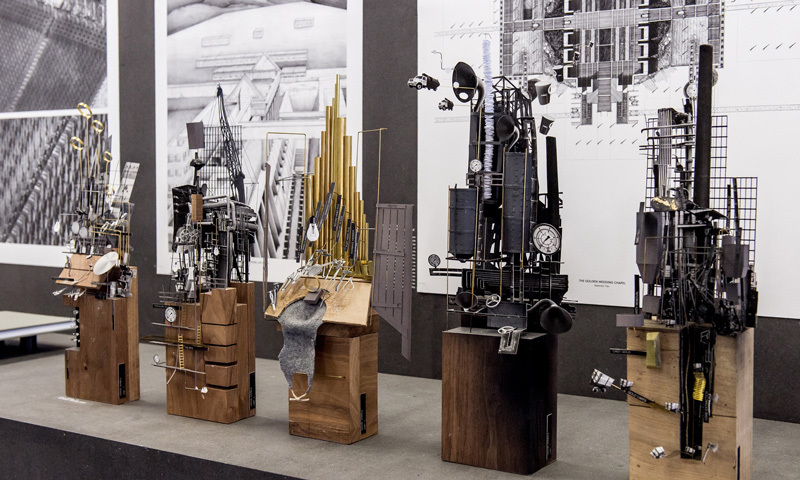 This new four-year integrated Masters in Engineering & Architectural Design aims to challenge students to develop a critical, independent, experimental and technically rigorous approach to architectural, environmental and structural design and engineering in buildings. The programme is delivered by a world-class team of experts drawn from the Bartlett School of Architecture (host department), UCL Institute for Environmental Design and Engineering and UCL Civil Environmental and Geomatic Engineering. This programme teaches design in four dimensions. Students will design the performance and interaction of objects, environments and people using the latest fabrication, sensing, computation, networked and responsive technologies. Emphasis is placed on prototyping, from interactive objects and installations to staged events and performance architecture. The Design for Manufacture Masters programme aims to prepare a new professional workforce of highly skilled, creative and adaptable experts, with knowledge in design, engineering, material behaviour, analogue and digital craft, and advanced systems operations. Students will learn how to place their design skills in the context of pioneering developments in construction, fabrication, assembly, and automation, including robotics. A pioneering Masters programme providing knowledge and training in the principles and skills of situated practice in relation to conceptual spatial theories in art, architecture, performativity, urbanism and writing. On this programme, students will develop a strong understanding of appropriate research methodologies in art and design practice-led research, specifically relating to approaches to criticality, performativity and textuality. They will also make ‘situated practice’ projects that are site-related, from physical installations to digital interventions to site writings.